There’s a saying that has unfortunately only been relegated to bumper stickers and power point presentations: We don’t inherit the earth from our parents, we borrow it from our children. It is in every sense true, which is why the Trump administration’s agenda for “energy dominance” on our shared public lands is so concerning. Almost on a daily basis, the administration violates the terms of the loan to our grandchildren. The costs — to our public lands, waters and wildlife — are steep. The urgent question is whether the administration will be forced to change course and instead pursue a policy that ensures future generations will enjoy our public lands and wildlife treasures as we have. Will they be able to hunt and fill their freezer each winter like I do? Fish clean water? Hike long miles in quiet? Body surf to exhaustion? Watch outlandish sage grouse mating dances each spring? The one man who can answer these questions is poised to head the Department of the Interior after a Senate confirmation vote: David Bernhardt. In practice, the Department of the Interior has not walked the walk as it pursued an “energy dominance” strategy: The administration has offered up nearly 95 million acres of our public lands and waters for oil and gas drilling. These are lands and waters owned by you and me and the rest of America, and managed by the federal government on our behalf. Many are our country’s most iconic landscapes and waterways. It’s not just remote areas like the Arctic National Wildlife Refuge and its polar bears and caribou on the chopping block. The administration also wants to open up the Atlantic coast and massively increase drilling off the Pacific and Gulf of Mexico coasts, despite widespread opposition by governors, mayors and beachgoers in the affected states. In Western states, the Interior Department has significantly weakened a bipartisan plan to protect sage grouse and 350 other plant and animal species in a spectacular sagebrush sea that stretches across 11 states. Oil and gas interests will now be able to exploit waivers that will allow them to drill near fragile breeding grounds — and those companies won’t be required to mitigate the damage they cause. Meanwhile, oil and gas companies are speeding up their plans for future production, as if raking up the candy while no one is minding the store. Last month alone, they filed for a record 6,570 new permits. What is particularly troubling about this energy-at-all-costs approach is that it doesn’t prioritize leasing in pinpointed, oil-rich areas that are away from sensitive wildlife habitat. There is room for balanced, thoughtful, oil and gas production. Instead, for the past two years, the Department of Interior has taken a no holds barred approach during the time when Bernhardt served as deputy and now acting secretary— offering thousands of acres across tens of millions of acres of land, even when there is little evidence that oil and gas lies beneath those lands. Worse, many of the plots that were leased to oil and gas companies sold for the minimum bid price of $2 an acre. These fire sales are as unpopular as they’ve been destructive: The 2019 Conservation in the West poll found voters in Colorado and Western states overwhelmingly disapproved of this “energy dominance” approach, as well as efforts to reduce public input on oil and gas development, allow development in sage grouse habitat and weaken national monument protections. Millions of tribal people, hikers, campers, anglers and other outdoor enthusiasts across this country, now and in the future, are counting on David Bernhardt to bring back that balance and end the energy dominance doctrine that threatens the very survival of our wildlife and outdoor heritage. 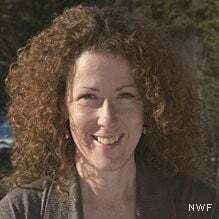 Tracy Stone-Manning is associate vice president for public lands at the National Wildlife Federation. Tracy Stone-Manning is associate vice-president for public lands at the National Wildlife Federation.